Learning HT, started a new thread. So that test was bit more difficult than I anticipated. Not sure if I was hooking it up wrong, had the wrong setting on the multimeter or what. But there was only one setting that would show me ANYTHING when I cycled the ignition. You can see by the image it was to the left side on 20. Hope it somewhat helps. On the ground side it peaked at .16 and the starting number was 0.00. Now the positive side went a little differently because it wouldn't give me zero to start with.... when I would change the dial to show 0.00 and cycled the engine...nothing changed on any setting. ?? Having it on 20 like the negative side then touching the probe to the positive cable on the battery it was reading 12.25, it fluctuated a bit, but I waited til it stabled out to cycle the ignition. When I turned the key on, it went way down to 1.9 and ultimately lower as it seemed to concentrate on the pumps starting cycle. I did it several times to check consistency....but jumping from 12.25 to 1.9 and then down quickly as the pump shut off seemed the norm. Hope I did this right, if not please let me know. I don't know what you could have done to get those readings. and then measure between Bat- and larger black wire at the pump. You won't get any reading until the pump is running. Lol, well that makes two of us. You can try it on the lower scale. That reads up to 2 volts. Such serious frustration....no matter what I do I can't seem to get the connection it needs to give a reading. Every video I see where they show the connection shows the long pin like probe....I can't seem to find them locally. I have the alligator clip jump lead and it just won't read anything when I cycle the car. Don't know if this is a multimeter issue or a Pam issue, but I think I have to surrender for once in my life. Damn it! You have been so gracious with your time, really; it is much appreciated. If you EVER need help with anything internet (web-site, SEO, social media) please PM me, would love to return the favor. I am just not seeing what could be so wrong with what should be a simple test. I just know that I am completely drained at this point and have to walk away. Not sure what's next...."it's all good." Just get a large safety pin and slide it into the connector alongside the wire so it will make contact with the metal inside the plug connecter and connect your alligator clip to the safety pin.. Temporarily take the lead off the battery and clip it to ground and try it again. You should see the 12v power reading to the pump when the key is first turned on or cranking. If you don't, then you are still not making contact with that gray wire. Feel your struggle Damsel. Those are "T" pins. The alligator clip ends I know of don't cut it or well. Walgreens (plug for the place) does have a lot of assorted stuff at least ones near me. Otherwise more likely arts and crafts of department stores. Safety pin will work too just be extra careful not to let the thing touch anything else. 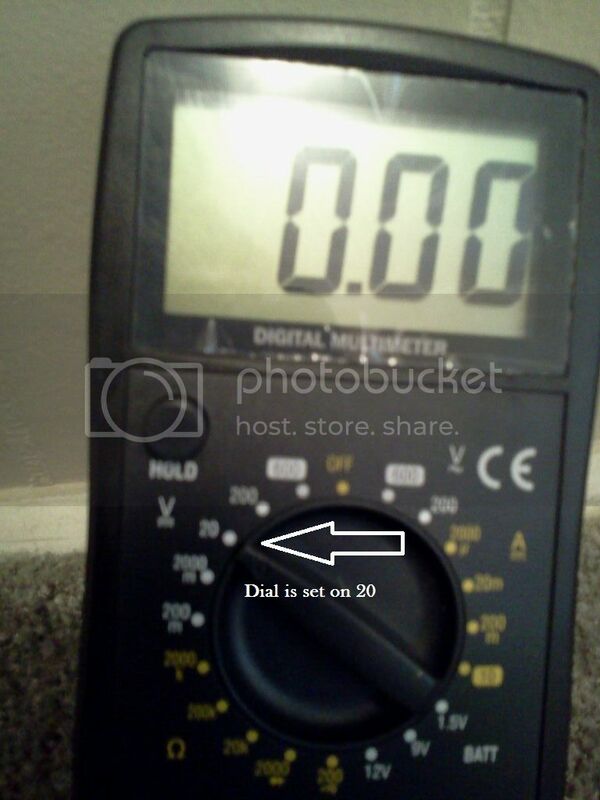 You have to have your volt meter set for the 20 V scale on DC volts. If you put it lower than that, you'll get OL or out of range. If you get somewhere around 12.6 volt reading at your battery terminals, you have the meter set correctly. If you're reading the actual voltage at the time and not the voltage drop. I'm thinking that 20v scale may be missing the readings under 1v. That's why I suggested trying the 2v scale for the voltage drop but after reading some of her subsequent posts, it looks like she may just have a contact issue with the meter.